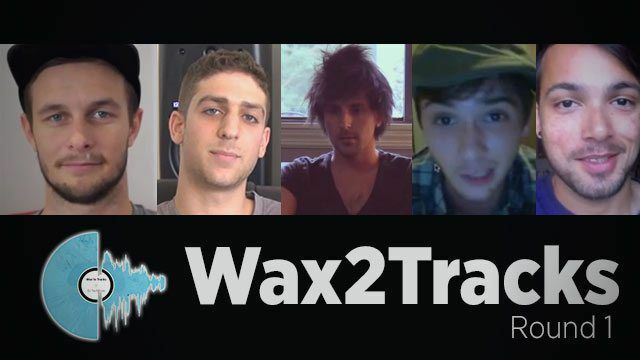 After a week of making our interns sit in a dimly-lit office and pour over hundreds of videos responses, we’re proud to say we have found the five who will be the competitors for the Wax to Tracks contest. Read on the see who we chose – and more importantly, how everyone can play along themselves at home as we release the official packs for the first challenge! Before announcing our choices, we would like to sincerely thank everyone who submitted responses: we were amazed at the diversity of talent in our community, and rest assured that there will be more opportunities in the future for you to showcase your unique approach to controllerism, turntablism, and live electronic music performance. And now, drumroll please: here are the final 5 competitors. For their first challenge, the competitors will be charged with using sampled audio and MIDI material to create a track in their genre of choice. Each will be receiving a unique “MIDI Kit,” which will contain some raw audio samples as well as some basic chord progressions to get them on their feet. The reason we’re starting this way is that beginning from a completely blank slate can be daunting for newer producers; instead, we’ve looked into the genres each producer might be interested in, and have created MIDI packs in accordance. We’ll be checking in with these producers over the next few weeks as they progress – and they’ll even get help from some Ableton Ninjas! Stay tuned. Here’s where everyone can join: We’re releasing the MIDI packs below, so any member of the DJTT community can join in, and while we can’t say what yet, showing us your sick production chops on these samples, competitor or not, might lead to some extra prizes. All you have to do is submit your final works to this group on Soundcloud (all of the entries will get exposure here on DJTT) – be sure to mark it with the name of the MIDI pack you used to start your track off with. The following information is what each contestant will receive with their MIDI Pack – similar to what a ghost producer might see in their inbox on a regular basis. We’re not big fans of ghost production as a business practice, but it’s a great model use to give beginner producers the context they need to really start a track off with. 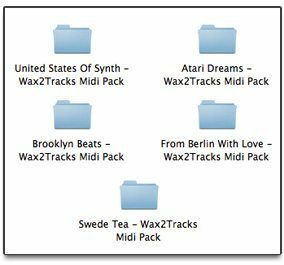 Swede Tea (download): This MIDI kit was designed with an eye to the big Swedish producers; it has a couple hooks to get started with, along with a classic lead line and some punched-up drums. What’s lacking at the moment is a harmonic progression – all great Swedish house tracks build a melody into an anthem, layering harmony after harmony into a sweet, syrupy explosion. That’s where you come in. Add your own flair to either the MIDI or the pre-sampled synth lines to flesh out a Swedish house break. Try layering sparkling pianos and hi-hats to taste. Contestant Raws will be working with this pack. From Berlin with Love (download): This MIDI kit goes for a darker, tech-ier vibe – the drums included feature resonating percussion and a deep, sub by kick. It also contains a glitches out pluck sample and some arp and chordal MIDI to play around with – try going for a deep, percussive vibe on this one by centering around the kick drum and keeping everything grooving. Contestant Zain will be working with this pack. Atari Dreams (download): This MIDI kit incorporates elements of glitch, chip tune, dubstep, and orchestral elements. It contains a vocoder-d sample of a classic Steve Reich vocal, as well as a dark piano line, foreboding arp, and climactic strings. What it’s missing is a real “drop;” this piece can go in a lot of directions, from full-fledged brostep madness to some glitchier breaks. It’s up to you to decide. Contestant Messenger Boy will be working with this pack. United States of Synth (download): This MIDI kit was designed with a bit of a trance-y vibe, with an eye towards producers like Mikkas, Porter Robinson, Armin van Buuren, and ATB; it contains all the elements of a great uplifting breakdown, without the euphoric climax. With this kit, your task is to flesh out these elements into a progression; try adding a chord progression or more atmospheric sounds to build towards a classic trance break, or adding octaves to the arp to make a truly massive lead. Contestant Jeremy will be working with this pack. Brooklyn Beats (download): This MIDI kit takes inspiration from indie-dance, synth pop, and even a bit of symphonic music. It contains a fleshed out synth progression and piano accompaniment, but no movement or development. Your task is to take these elements and to make a soothing indie-dance progression that doesn’t so much build as it does plateau. There are some drums included with a syncopated feel to experiment with as well. Contestant Chris will be working with this pack. ALL SUBMISSIONS DUE BY THURSDAY, AUGUST 24th! 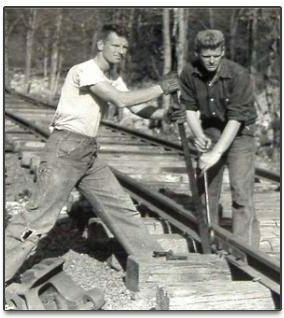 Rome wasn’t built in a day; the best tracks out there weren’t written in one, either. So we here at DJTT have compiled an extensive list of what we consider to be some of the best online video content that informs and educates budding producers. If you’re in a bind, definitely check these out. Questions about the contest or advice for our competitors? Let us know in the comments – we’re constantly working on making it more and more awesome – with updates coming very soon!